Some of the best panoramic harbour views of any office building in Wellington are for sale with the news that ASB Tower at 2 Hunter Street is being marketed by CBRE New Zealand. Marketed by exclusive agents Matthew St Amand and Bill Leckie of CBRE New Zealand on behalf of The Hunter Limited, a company associated with prominent Wellington investor Mark Dunajschik. The A-Grade 16-storey office tower is for sale by Deadline Private Treaty, closing 4pm on Wednesday 10th August 2016. Matthew St Amand, Managing Director of CBRE Wellington, describes the ASB Tower as a trophy property. “It has everything investors could want. It occupies one of the very top locations on Wellington’s waterfront, with some of the best harbour views, so it is no surprise that some of Wellington’s best-known corporate tenants are in the building. Designed by leading architects Craig Craig Moller for then Crown entity the Development Finance Corporation, the building was constructed in 1989 on a 1,387sqm site. The property offers 9,375sqm of Net Lettable Area with efficiently-shaped office floors that provide sought-after tenancy accommodation on 630sqm floorplates, plus 62 car parks. On a perpetually-renewable 21-year Glasgow Ground Lease to Wellington City Council, the building generates a current gross passing income of $3,299,082 plus GST. 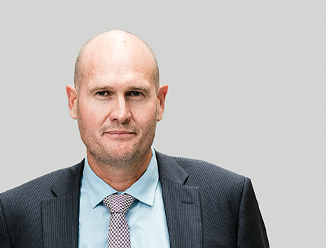 CBRE Senior Director Bill Leckie says that the potential exists to lift the gross passing income to approximately $4,338,612 million plus GST. “The tenant mix includes well-known corporate tenants including ASB Bank Limited, Caniwi Capital Limited, CBRE, Electricity Authority of New Zealand, Shell NZ (2011) Limited, JPMorgan Chase Bank, Tonkin & Taylor Limited and OM Financial Limited. Located within Wellington’s waterfront ‘dress circle’ on a prominent prime CBD corner, ASB Tower enjoys some of the best harbour views available to tenants in the CBD, says Matthew St Amand. Close to Wellington’s retail ‘Golden Mile’ of Lambton Quay, which enjoys the highest count of foot traffic in Wellington City, ASB Tower is immediately accessible to a wide range of retail outlets including leading department stores, specialty boutiques and top of the range retail shops and cafés. The tower provides excellent connectivity to all forms of public transport that the city has to offer. Wellington Railway Station is located approximately 900m from the property, as well as bus services located less than 200m away. The harbour ferry situated at Queens Wharf is approximately 400m away and provides an alternative option for commuters to the eastern bays. The property also has easy access to the motorway and is conveniently located to hotel accommodation/short stay apartments and is almost adjacent to the Intercontinental Hotel. Wellington is experiencing strong investor demand for high quality CBD office assets from both international and domestic investors and the marketing agents expect strong interest in this sale.